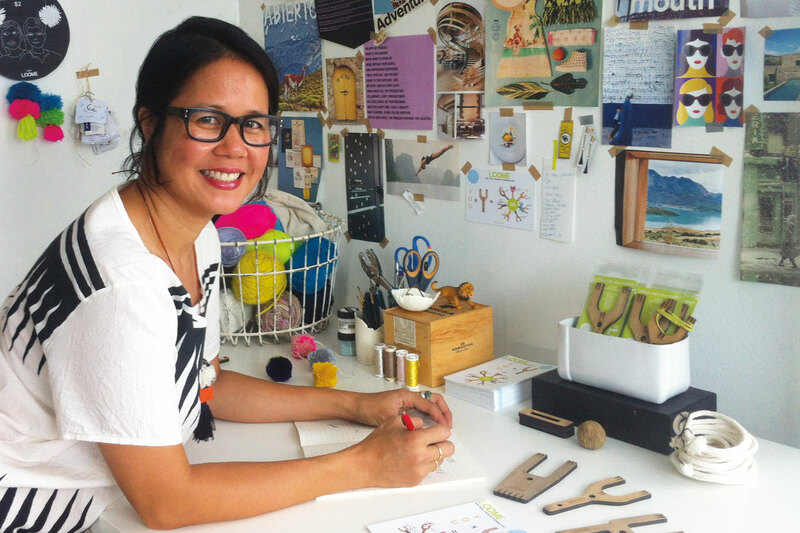 Meet The Creator of Loome: Vilasinee Bunnag! We get to work with so many amazing and inspiring creators here at The Woolery. 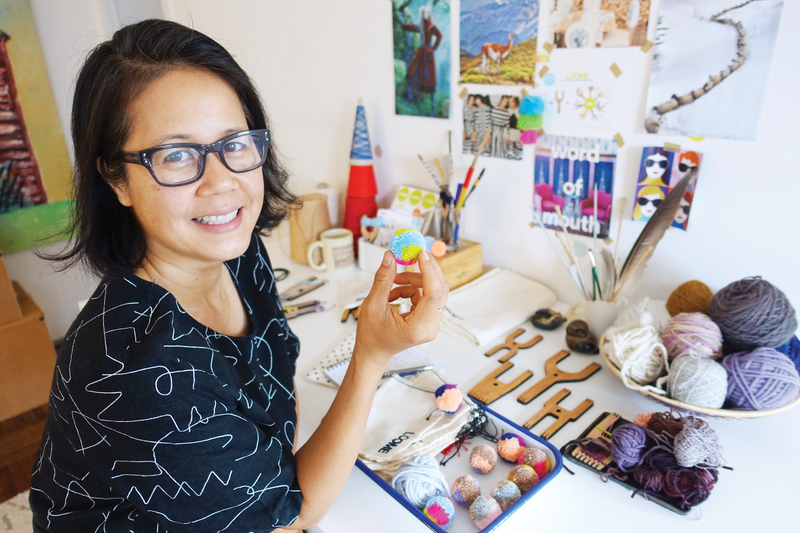 Vilasinee Bunnag is one of the co-creators of the Loome. We recently started to carry some of the Loome tools and we love how accessible they make weaving for everyone! Vilasinee was nice enough to take some time to answer some of our burning questions about her life as a creator. Tell me the story of the Loome, when and how did you first come up with the idea for it? The design of the original Loome tool was inspired by the medival tool called the lucet. This tool was used to make cords and braids. The Loome tool's co-inventor and I took this ancient device and evolved its functionality so it could be used beyond making cords. This was the starting point, revisiting the past to create some thing for today's makers. What is the design process like for Loome tools? Do you have several shapes that you tried that just wouldn’t work out? I've always been drawn to design, particularly modern design for every day living. I love when design is married with utility to bring beauty and practicality together - it's the best. The design process of the Loome tools included five steps: sketching, digitizing, prototyping in cardboard, testing (look and feel, user feedback, sizing) and prototyping. After each test, I go back to the drawing board to make adjustments based on the feedback and repeat the design steps. Designing is such a rewarding process and it's taught me to be open-minded to every thing. What looks good on the computer can feel off in 3D and vice versa. This was particularly true for the rectangular and round shapes which didn't make it to production. There has been nine designs altogether and we settled with four which offers a little some thing for every one depending on the aesthetic you like. I usually tell people, it's like the iPhone, there are different colors but they all do the same thing. In this case, it's the shape. Overall, it took three months of prototyping plus twelve months of on-going refinement the tool from design to production. Are you a crafter yourself? What fiber arts do you practice (aside from Loome)? Absolutely! I love making things, especially when I can add them as a special touch to a present. I really enjoy making keepsakes for friends and family. For example, recently I made a housewarming gift for a friend that included a candle, a knotting book and a bundle of tassels made of vintage linen yarn that's can be hung on a door knob, bed post or mood board. I also love mixing mediums so to keep learning new crafts and techniques, I like taking classes with artists at local studios like Handcraft Studio School and Makers Mess. Fiber arts wise, weaving and knot making are some thing I really enjoy. I find that they help me focus and reconnect with making things with my hands. The Loome can also be converted into a slingshot. Was that intentional or just a really excellent side effect? Also who came up with that so we can give them a high five? This is hilarious isn't it? I told you I'm totally into multi-functional designs. You can slingshot all the pom poms you make! I can't tell you how many times I've had people beeline to my booth at craft shows becaus the slingshot was the first thing they saw. I appreciate that the tools evoke a nostalgic toy for people. 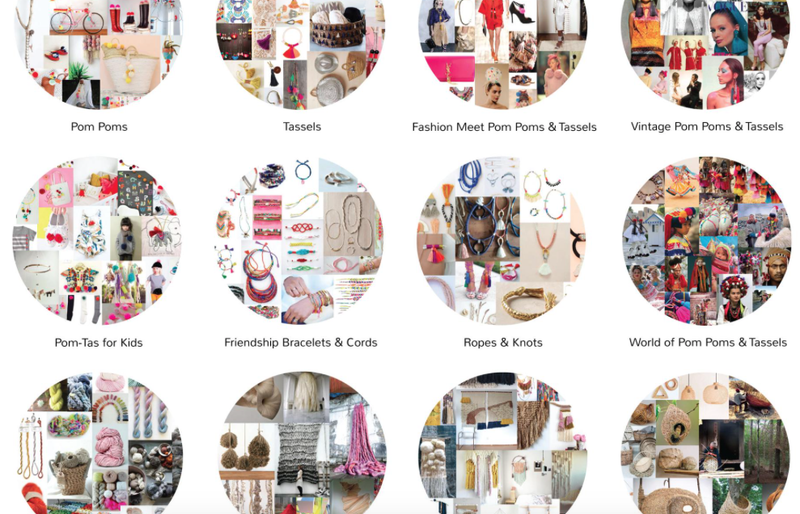 We love all of the inspiration resources for Loome you have on your website, what inspires you personally? Thank you so much! My biggest inspirations come from other Loome users and artists plus my motivation to use my yarn and craft stash which I have a lot of. 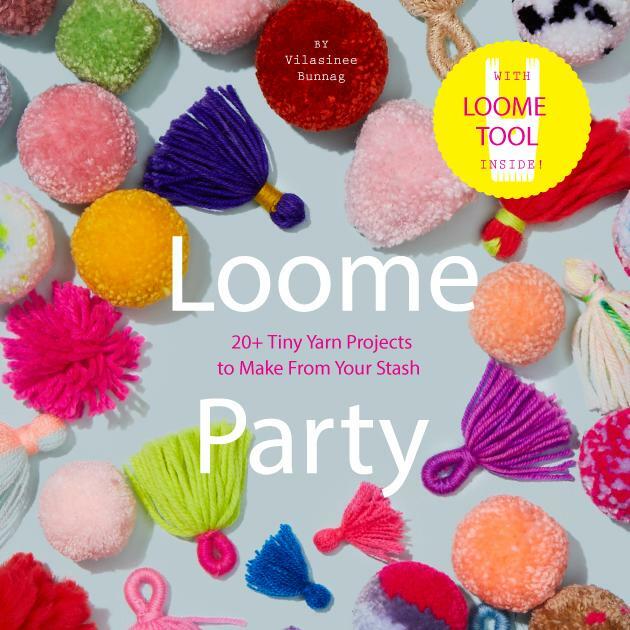 All of my Loome projects start one of two ways: to make some thing fun for Loome users or some thing special for a friend or family member. For instance, I made ten woven friendship bracelets for a friend I've known for ten years, I picked her favorite colors, pull my yarn, incorporate beads from my craft stash, add in techniques like French knots and start cracking. One of the nicest thing about crafting with the Loome tool is it's low time commitment and high satisfaction. You can make experiment and some thing sweet in a short amount of time and if it doesn't work out, you try it with a new yarn, etc. I'm so grateful that people like the Loome tools and find them useful. This really inspires me to keep making and sharing. On the business side of this, I feel extremely proud that we've been able to provide employment and contribute to the economy as a small business. Loome is also donating 10% of our sales until the end of the year (and possibly longer) to hurricane and flood relief. At the end of the day, these things are the most satisfying outcomes of having a business. Which is your favorite Loome Model? Or is this like asking you to choose your favorite child? Indeed...and I'm so happy there are four to choose from! Okay, another hard hitting question: tassel or pom pom? Oh no! Don't make me choose. I'm seriously obsessed with both. To me, pom poms are instant happiness and tassels are the best detail that you can add to just about any thing. They can be made with any fiber and they're always special. And since we are The Woolery, if you could only work with one type of fiber for the rest of your life, which would it be? Hands down, wool. And I feel like there is a major renaissance going on in the fiber world. I'm in awe of the artists and producers who are spinning, dying and innovating to give us such a stunning array of beautiful wool. There is no better time to work with wool than now. There is so much to learn, enjoy and try. What are some new things on the horizon that you are excited about? I have a book coming out in March 2018 with Abrams Books called "Loome Party." 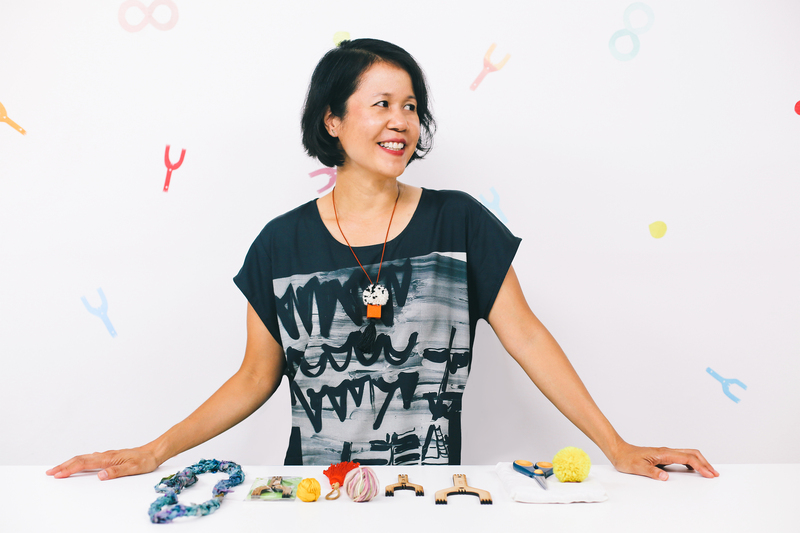 It's a combination of fundamentals (for 15 types of pom poms, tassels, friendship bracelets, cords and small weavings) and projects for your yarn stash by 15 artists and makers. This is a dream project for me to be able to work with so many wonderful people from Maryanne Moodie to Arounna Khounnoraj to Courtney Cerruti. Second, I've been working on tools with prints on them, they're finally here!